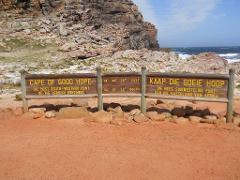 Day Tour to cage dive with sharks in Gansbaai. 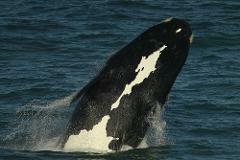 Tour includes Cape town Transfers, all equipment, 2 light meal, on board refreshments, qualified crew. No diving experience required. 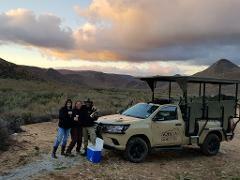 Take a walk on the wild side with an authentic, but malaria free, South African safari day tour, conveniently located within reach of Cape Town. 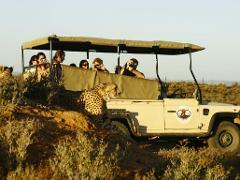 The warm Karoo hospitality and breathtaking landscape all add to this memorable one day tour. 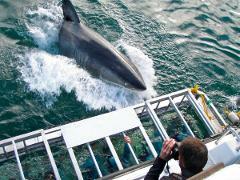 An exhilarating full day tour to discover False Bay's wonderful wildlife, stunning coastline and famous whales with a visit to Cape Point. 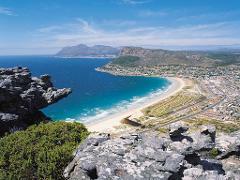 Online 40 minutes from Cape Town ( July - November only). 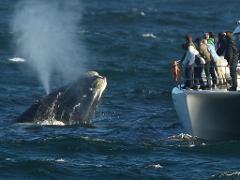 Enjoy a scenic coastal drive and experience the majestic beauty of the southern Right whales basking in the warm waters off the Hermanus coastline. 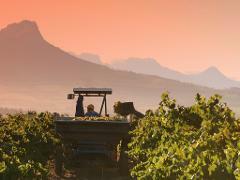 Allow us to take you on a breath‐taking journey through the Cape winelands and witness the wine‐making process and taste the region's best wines. 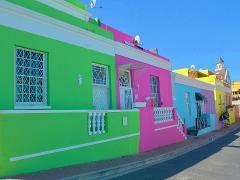 The Mother City is steeped in history, culture and scenic wonders, and offers an abundance of things to see and do. A half day tour gives you an introduction to experience the city and its attractions.